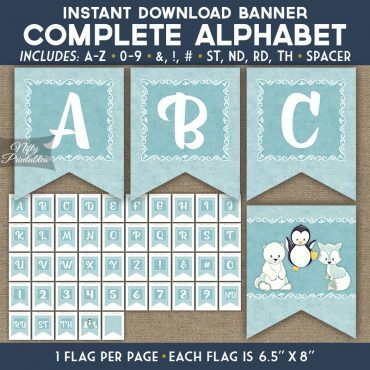 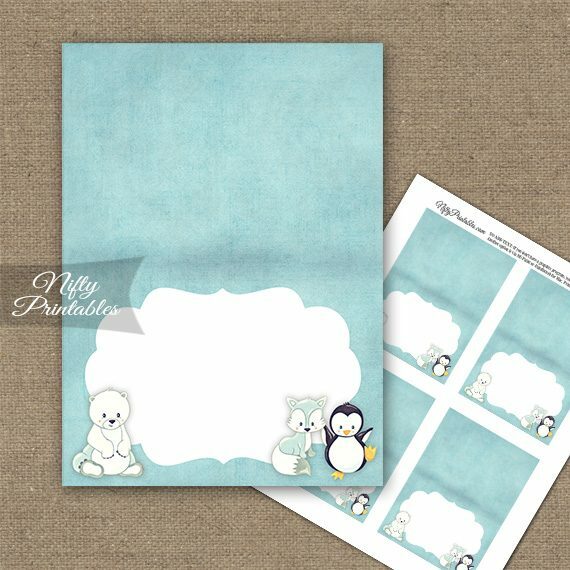 Printable blank tent cards featuring adorable arctic winter animals: Polar bear, penguin and fox. 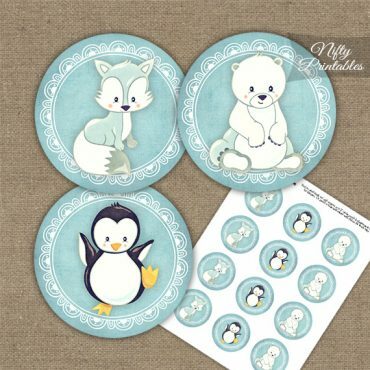 Sweet characters work great for nursery or first birthday décor. 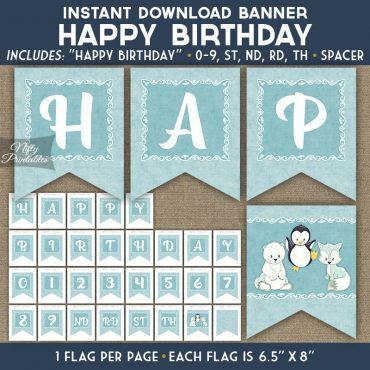 Kids birthday party or baby shower decorations.